Jim Henson and his producer, Duncan Kenworthy, hired numerous researchers to find authentic folk tales in libraries on both sides of the Atlantic for use as the basis for The Storyteller series. They looked for compelling characters, universal themes, and dramatic situations. 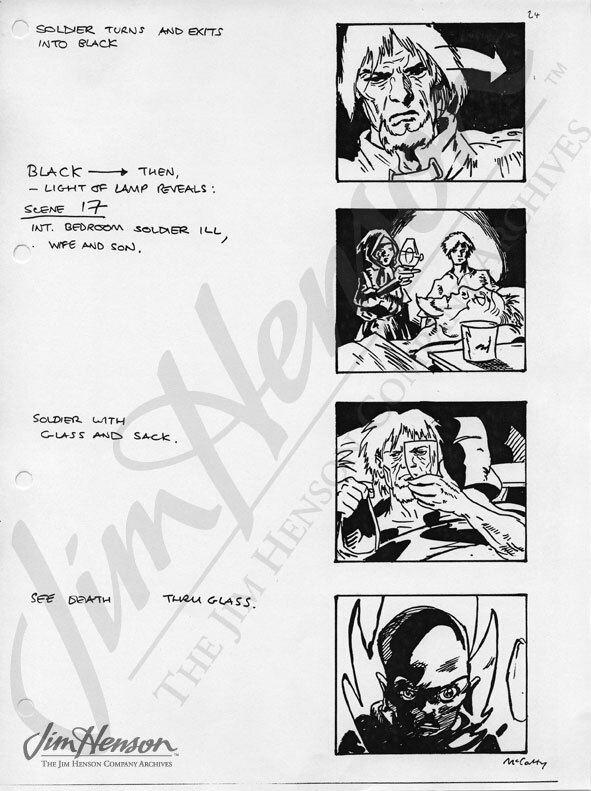 The Soldier and Death, one of the two episodes directed by Jim, had it all. In order to provide enough action for a half-hour program, the writer Anthony Minghella drew from a combination of several tales: a Russian story in which a soldier outsmarts some devils by catching them in a sack, two Slovak tales about catching a devil or a bear in a basket, and a Swiss story about a vinegrower who takes Death as a prisoner. 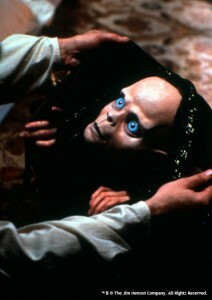 While the content of The Storyteller came from ancient sources, the rest of the production used the latest in special effects and animatronic technologies developed by Jim Henson’s Creature Shop to bring the devils and other creatures to life with astonishing realism. 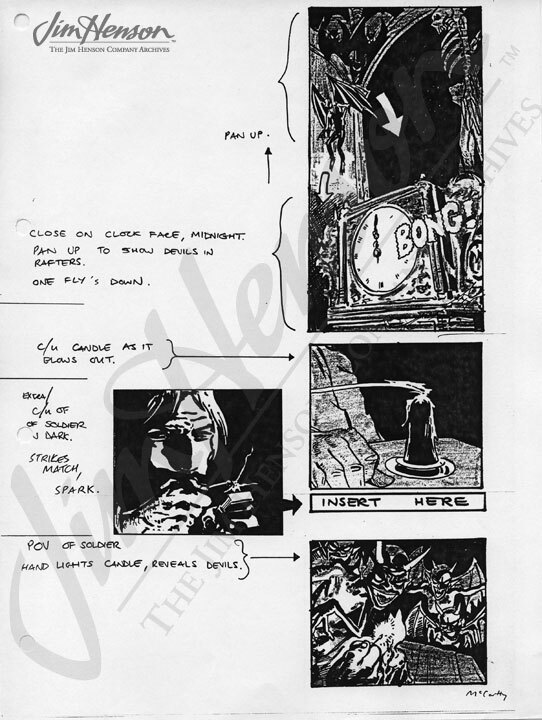 Steve Barron, director of The Storyteller pilot the year before, brought very up-to-date techniques from the world of music videos and set the tone for the entire series. 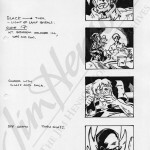 Jim, working at break-neck speed producing one episode per week, took a cue from Barron’s style, infusing it with his own creative sensibility. He loved the complicated, highly mechanical devils that torment the Soldier in the story and took great pains to get the Death character right. “We had a lot of philosophical discussions about how Death should look,” Jim told The New York Times. The resulting puppet was appropriately disconcerting and a testament to Jim’s visual imagination. Learn more about Jim Henson’s Storyteller. Watch a clip from Jim Henson’s Storyteller: The Soldier and Death. 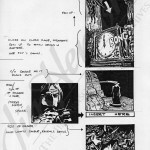 Storyboard panel from Jim Henson’s Storyteller “A Soldier and Death”. Death caught in a sack from Jim Henson’s Storyteller. This entry was posted in 08-August '87, 1987, Storyteller and tagged Anthony Minghella, Duncan Kenworthy, Steve Barron, The Soldier and Death. Bookmark the permalink.